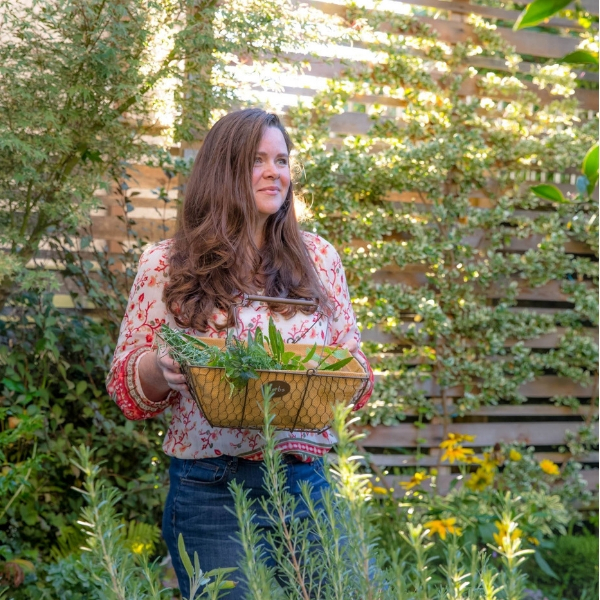 When growing a vegetable garden in a small space, square footage is a limited, valuable resource that must be considered when choosing what plants to grow. To get the most yields from a tiny space, these are my top 5 small-space vegetables that grow and produce well, in even a tiny garden. I’ve listed pole beans and peas together because they have a similar growing habit and their growing season overlaps (peas like it cool and beans like it warm). 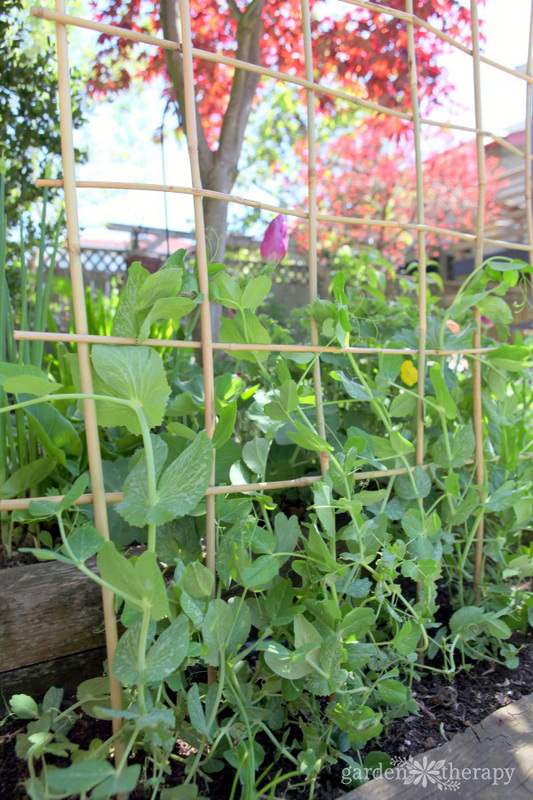 Start peas on a trellis in early spring (nine weeks before the last frost date) and they will produce plenty of pods before they mature in two months. Remove the plants after the frost date has passed and set pole beans in the same spot. Peas are a wonderful small space plant to grow because the pea pods, shoots, and leaves are all edible. Young pea greens are delicious in a spring salad and there will still be plenty of pea pods left to fill your plate with snow peas (flat pods) and snap peas (edible pods with rounded peas inside). Shelling peas are those that don’t have edible pods and take longer to grow. Leave those for the larger space gardens. Start pole beans in pots before the last frost date so they get a head start on the growing season. When the peas are starting to yellow and produce fewer peas, remove the plants and put pole beans in their place. Vining pole beans can climb 10 feet or more in height, so give them plenty of space and they will give you plenty of beans. Look for French filet beans that stay slim and tender even when they are long. Reserve space-hogging bush beans for larger gardens. There are many tomato varieties that are bred to produce heaps of fruit in small spaces. Cherry, beefsteak, green, purple, determinate, indeterminate—there are so many varieties of tomatoes! You can easily crack the code by reading the seed packet or plant labels. Look for dwarf or container varieties of determinate tomatoes (tomato plants that grow to a set height rather than indeterminate, or vining, tomatoes). 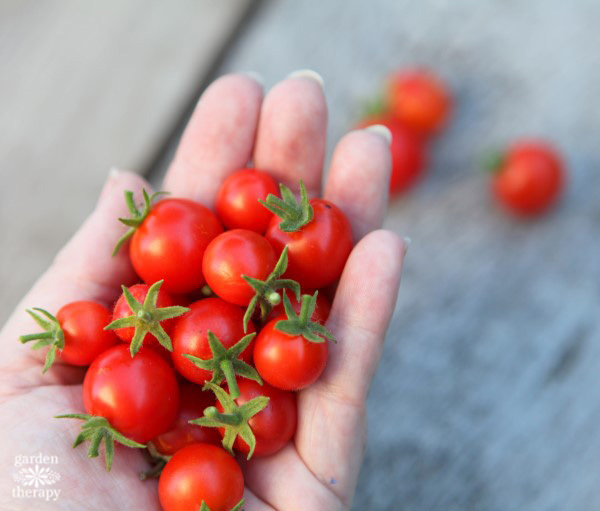 Cherry or grape tomatoes can produce hundreds of fruit on one plant, but there are plenty of slicer tomatoes that can produce well in small spaces also. Any mix of lettuce, Asian greens, mustards, kale, and other leafy greens can be used as a salad mix. The key to growing these in small spaces is to scatter a pack of seeds in the soil and start harvesting baby greens as they appear. Use sharp, clean scissors to cut sections of mid-size greens and much of it will grow back. Continue to seed the area over the growing season so that new greens will be sprouting as you cut the leaves for endless summer salads. Be sure to add in a few chives to the mix, as they are lovely in salads but also help to keep pests away. 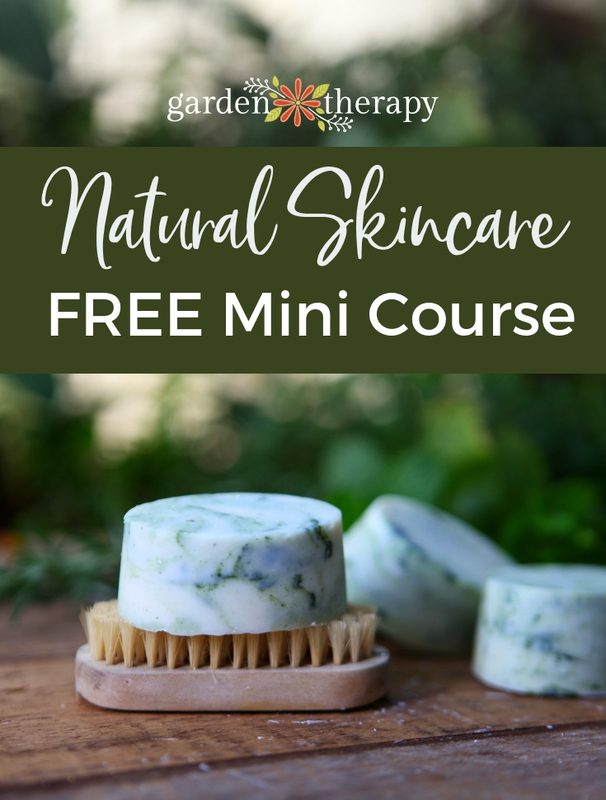 See more details on how to grow a salad garden here. The last thing anyone would suggest as a small space plant is zucchini! 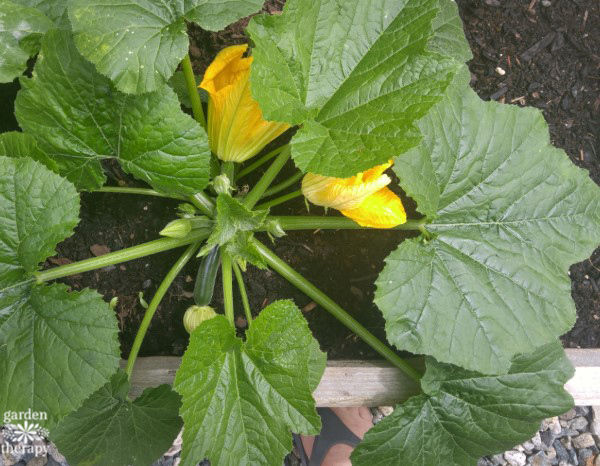 It is a huge sprawling plant that produces heaps of giant summer squash. Yet, I grow zucchini in my small-space vegetable garden every year because it gives us so much produce for the space it is allocated. You will need a large pot or 2 square feet in the garden bed, but that one plant will give you more food that you can ever use. Squeeze one in and you will be making zoodles, zucchini bread, soups, and casseroles to your heart’s content! 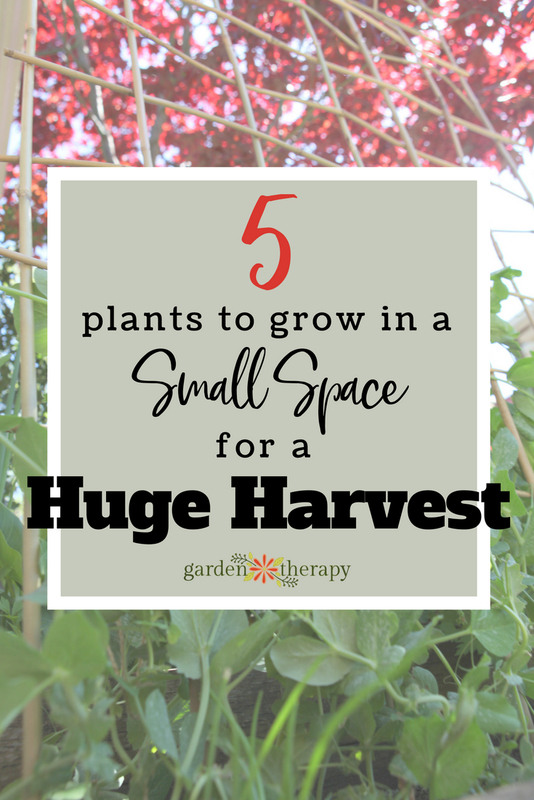 For more tips on how to get a huge harvest in a tiny space, check out this post. 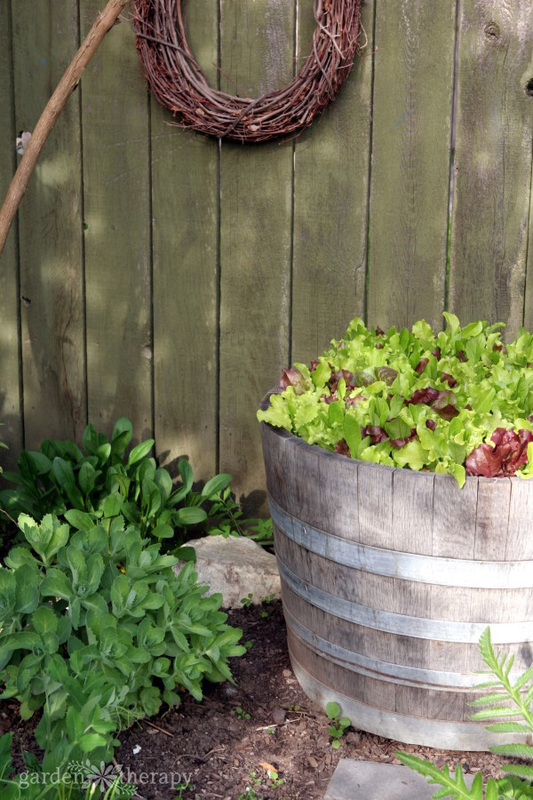 Do you have any of your own tips or tricks for small-space vegetable gardening? Let us know in the comments! Great find, also try a tote bag filled with dirt and holes cut in the side. Stick a seeding potato in each slit and within a few months, you get an abundance of fresh spuds.